It looks like the same can't be said abut Blair Hull ETF (HTUS). It seems to be accomplishing it's goal, beating SPY since inception and with less volatility. I haven't looked under the hood of fees, distributions, taxes. But superficially looks good. The return/sharpe are meaningless for a sample size of a year, espeically as the fund (according to prospectus) is balanced quarterly. I would want to see tracking error of live results vs their backtest. Also - I don't think people would buy this ETF expecting a return > than SPY every year, but for the correlation benefit. Again, what's the backtested corr, vs live and tracking error? I would respectfully disagree that "return/Sharpe are meaningless for a sample size of a year" because if they have had 4 quarters, it should give someone watching an idea of how stable each part is compared to S&P, and idea of its volatility. The returns/Sharpe may not tell one much but the individual data points of 4 quarter returns and volatility/correlation the picture has become clearer. While I would agree that it may not be enough to make a statistically significant conclusion, I would not even use a fund for diversification/correlation if the volatility/correlations to standard benchmarks are not somewhat stable. And the poor start does not bode well for the fund's strategy's alpha's consistentcy. Further, if you had invested say $100 million of some institutions funds in the fund with a benchmark of S&P arguing a $2.6 million under-performance would not be something I would want to defend too rigorously or try to initiate the fund. Technical Analysis is not the only area where charlatanism seems to rampant. In my view, there is more than a little bit of charlatanism in the more reputable field of "asset allocation". Much of the problem stems from the fact that many of the well regarded practitioners don't seem to understand practical aspects of the market, such as capacity constraints, or that they are using hindsight to pick the winners within an "asset class" to represent the field. Also, their mostly flimsy simulation is exactly the kind of thing they would criticize if done by a technical trader. Calling what is effectively a speculative strategy an "allocation" seems to subject such things to a much lower level of criticism. I understand that all the people selling commodity-like products need a secret sauce for marketing purposes, but at times the useless tinkering gets ridiculous. Trust, faith and confidence are everything in this game, as in life. Men who can elicit confidence from others have a skill which may or may not correlate well with their ability to make money in the markets. The name "con man" is short for a "confidence man" because creating and maintaining confidence until the play is over is the essential skill of a huckster. The biggest culprit I found in this "charlatanism" were those who did not have skin in the game but sold products that allowed people to put their skin in the game: banks. Asset allocation of "smart-beta" type strategies are being commoditized and packaged to be sold to clients, but if you look at the research it is ridiculous. They post strategies of sharpes between 3-6 and some of them are long/short commodities which significantly ignore capacity constraints. When you try to replicate their strategies, you cannot get close to those numbers. Our backtests found sharpes of about ~2, which we still discounted and when we ran our own strategies, we realized just a sharpe just under that (before fees). One disclaimer was our fund would never be the next Bwater given capacity constraints of these strategies. The academics were not much better. I remember reading a paper that used cattle spot prices (not futures) in their backtest. I could probably only replicate the results of 15-20% of academic papers. I am hesitant to blame anybody for this, as I think it is the current pervading culture of banks that promote quantity of research vs. quality. People need to feed their families and were taught these methods were okay. How you break the cycle, I'm not certain. We did find the papers were fantastic for idea generation though and to reveal general trends in the marketplace. It did give us inspiration that helped improve upon our current strategies…unfortunately though it looked like they were planning to sell their strategies to clients as-is. Central Banking, and specifically the Federal Reserve, must be counted as one of the greatest confidence games ever pulled off. 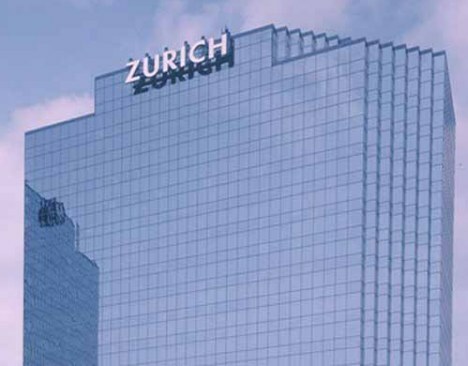 "Zurich Defends Accounts as Ackermann Exits After CFO’s Suicide"
Using some pop psychology, I would anticipate that what exactly is referred to as "challenging" has some bearing on the magnitude of future declines. In this case some financial target being "challenging" simply means that there is no way in hell they will meet it. If however the business environment is described that way it's likely to mean two things: all hell is breaking loose and the management not only lost control but doesn't want to take responsibility for what's going on. A study of use of "challenging" and NYSE might show some evidence of future inordinate declines a la Sornette but taking account of both side of the distribution, not just one tail, i.e. a real study. Here is a 2007 study of that hypothesis which is somewhat "challenging" on a number of fronts. The poetry of the the modifier word "healthy" pointing to cash flows as in blood flow that sustains "a strong and resilient balance sheet", the body of the corporation, juxtapositioned against the wan image of a very "dead" monitor, (CFO), of the bloodflow of the corporation's health under a "sheet" at the morgue. 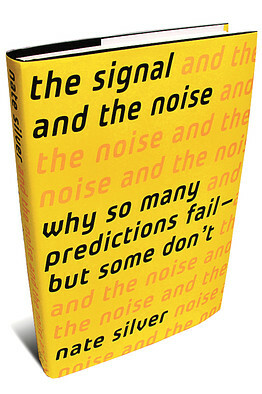 I am currently reading Nate Silver's book The Signal and the Noise : Why So Many Predictions Fail-but Some Don't. I uploaded the pages from the book here (pages 120-122). Seems like there are many links to trading here. The forecasting done in weather is incredibly complex and it's quite amazing the leaps that they've taken. The fact that they could give a small radius of where Sandy would land when it combined with other storms and fronts was absolutely amazing. Weather forecasters could evacuate areas and save lives with time to do so. Weather is incredibly difficult and computationally expensive to simulate and predict. So for them being able to do that….just wow. And on another note, I do not think forecasters misled the public at all on Sandy. News here (lower Manhattan) was very concerned about the upcoming storm and they encouraged everybody to evacuate. They had constant feeds and were constantly changing their forecasts based on new data coming in, which I hear is more prudent than what many novice traders do. Like Michael Lewis's classic Liar's Poker, Jared Dillian's Street Freak takes readers behind the scenes of the legendary Lehman Brothers, exposing its outrageous and often hilarious corporate culture. In this ultracompetitive Ivy League world where men would flip over each other's ties to check out the labels (also known as the "Lehman Handshake"), Dillian was an outsider as an ex-military, working-class guy in a Men's Wearhouse suit. But he was scrappy and determined; in interviews he told potential managers that, "Nobody can work harder than me. Nobody is willing to put in the hours I will put in. I am insane." As it turned out, on Wall Street insanity is not an undesirable quality. Dillian rose from green associate, checking IDs at the entrance to the trading floor in the paranoid days following 9/11, to become an integral part of Lehman's culture in its final years as the firm's head Exchange-Traded Fund (ETF) trader. More than $1 trillion in wealth passed through his hands, but at the cost of an untold number of smashed telephones and tape dispensers. 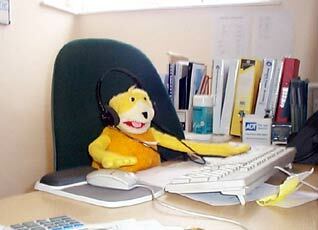 Over time, the exhilarating and explosively stressful job took its toll on him. The extreme highs and lows of the trading floor masked and exacerbated the symptoms of Dillian's undiagnosed bipolar and obsessive compulsive disorders, leading to a downward spiral that eventually landed him in a psychiatric ward. Dillian put his life back together, returning to work healthier than ever before, but Lehman itself had seemingly gone mad, having made outrageous bets on commercial real estate, and was quickly headed for self-destruction. A raucous account of the final years of Lehman Brothers, from 9/11 at its World Financial Center offices through the firm's bankruptcy, including vivid portraits of trading-floor culture, the financial meltdown, and the company's ultimate collapse, Street Freak is a raw, visceral, and wholly original memoir of life inside the belly of the beast during the most tumultuous time in financial history. In his electrifying and fresh voice, Dillian takes readers on a wild ride through madness and back, both inside Lehman Brothers and himself.